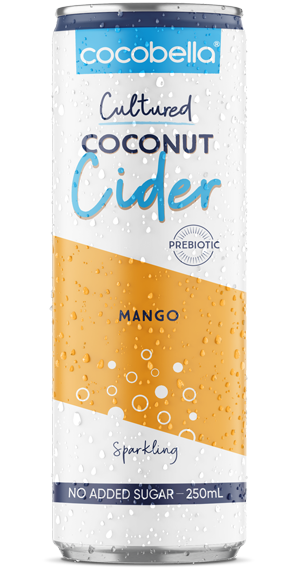 Cocobella Cultured Coconut Cider is a sparkling beverage made with coconut water, fermented cider vinegar and a splash of real mango. Store in a cool dry place. For Best Before Date see base of can. Crafted and made in Australia using imported and local ingredients.